The screen capture function benefits a lot for smartphone users because you can easily take screenshots to remember one moment when you are playing a game, watching a movie, listening to a song, making a video call with your friend and etc. Most of time, the screenshots are very important for they can act as the evidence or memory, such as the screenshots of chat history on Samsung. But what if you accidental delete the screenshots on Samsung due to system crash or other reasons, how to recover lost or deleted screenshots on Samsung phone? 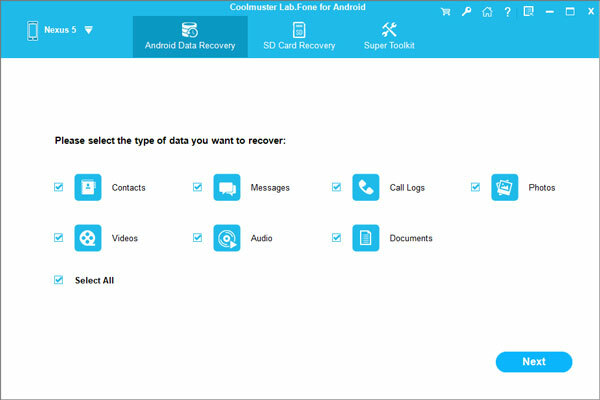 Actually, it could be very easy to recover deleted or lost screenshots on Samsung device using the professional recovery tool - Coolmuster Samsung Data Recovery (Windows/Mac). It can help you automatically scan your lost, deleted and formatted screenshots from Samsung device and selectively restore screenshots in original format, such as .jpg, .png, .gif, .bmp and many more with one click. 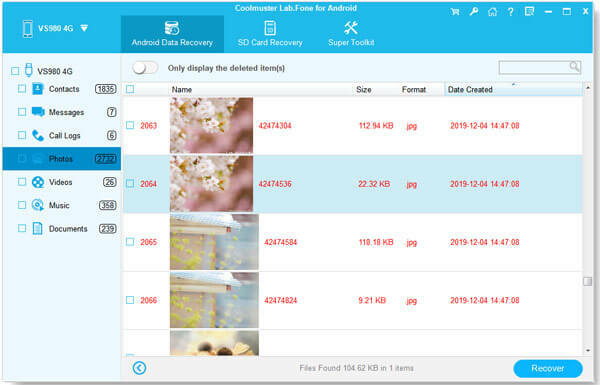 Besides Samsung photos or screenshots, this recovery tool also supports to retrieve lost or deleted contacts, messages, call logs, videos, audios, documents and etc. from all other Android device. And it is compatible with all generations of Samsung device, including S9+/S9/S8+/S8/S7/S6/S5/S4/Note 8/Note 7/Note 6/Note 5, Samsung Galaxy S9+/S9/S8+/S8/S7/S6/S5/S4, Samsung Galaxy Note 8/Note 7/Note 6/Note 5/Note 4, Samsung J3/J3 Pro, Samsung Galaxy A9/A8/A7/A5 and etc. Below are the free tails of the Samsung Data Recovery, please download and install the right version on your computer (Window PC or Mac) and follow the instructions to get back your lost screenshots on Samsung device with ease now. With the Coolmuster Samsung Data Recovery, you don't have to worry about the lost or deleted data from your Samsung phone any more. Now, after downloading and installing the program on your computer, please refer to this user guide to easily recover screenshots from Samsung phone right now. Step 1. Run the Coolmuster Samsung Data Recovery on your computer and make your Samsung phone connected to computer with a USB cable, and enable USB debugging on your phone as prompted to detect your Samsung phone. Step 2. Then the program will automatically scan the files on your Samsung phone, including the deleted ones and existing ones. Please click "Photos" tab on the left panel to show your Samsung photos. Step 3. Then you might preview and select the lost screenshots you want. You can switch on the button besides "Only display the deleted item(s)" to show the deleted photos on the interface. After selection, please hit "Recover" button to save them to your computer immediately.